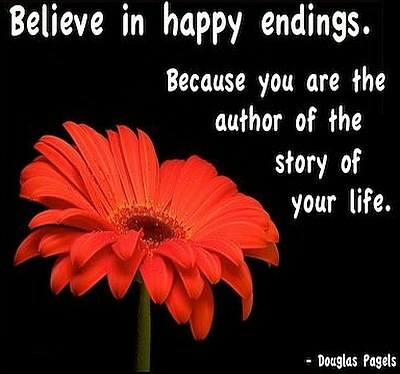 Believing, Douglas Pagels, Happy Endings, Life. Believe in happy endings. Because you are the author of the story of your life. - Douglas > Famous Quotes with Pictures.